Finn is doing great! He is super playful, intelligent, friendly, and affectionate. He is definitely the sweetest cat I have ever met. Also he's also getting huge! He's almost 9 lbs at 6 mo! 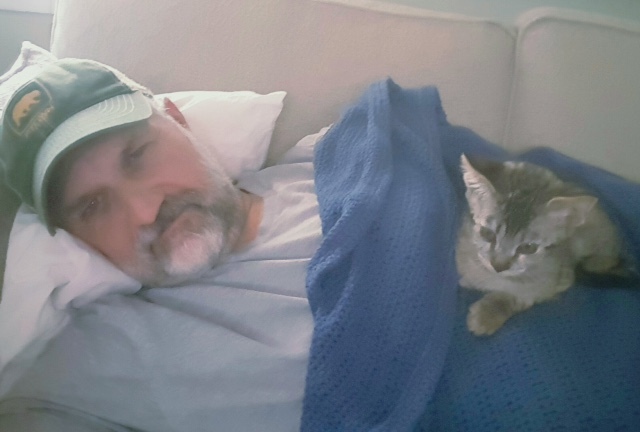 Thank you again for the wonderful kitten! Just wanted to let you know we got home last night and the kitten did fine on the ride. He was awful tired and just wanted to rest but was very loving when we got home. He has been non-stop play all day today except for the time spent eating which he has done great with as well. He is so loving and that toy you gave him is his favorite. He has fit into his new environment very nicely so far and has made no mistakes as far as the liter box. He is just awesome! So well socialized we just love him. I will send you pictures next week after fully settled and write you another Email. Thank you Savannah Exotic Cats! "Here's Eoghan at 14 weeks, his markings are more pronounced and becoming striking looking!! 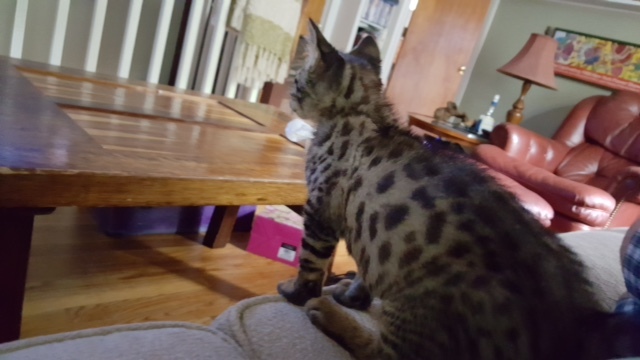 He's huge already, my vet said he doesn't see many savannahs but thinks he's an amazing looking kitten. Love him so much, such a cuddler! Just sending a happy update. If you ever have time can you tell me about their parents again Johan and jewels, the mom was a F2 and the dad a f5? And I think you said he was the only one born? How tall is Johan and what does he weigh? Just so happy with him. I referred you to a few people already!" Update: I think Owen has doubled in size! Lol he is so healthy and full of character, took him to vet to introduce him and he was 4 lbs at 12 weeks, Dr. Alter said yes never seen such a handsome kitten!!! This is how we watch tv. Here is a pic of male kitten #2 from Johan and Dior. He is getting along better than expected with the other cats, he's super playful and affectionate. Love him! "Thank you for our beautiful snow kitten! When she arrived home, she came right out of her cage purring! She's so lovable. She follows my 2 year old around like a shadow. They are best buddies already and it's only been 3 days! Thank you for the perfect kitten!" Attached are some pictures of Oscar. We love him!!! I would like to say that Oscar is the most loving and affectionate cat I have ever owned. He will let anyone hold him and purrs instantly when around people. He is very intelligent and will always hang around the sink as he loves the sound of running water. He also gets along great with our other female cat. We are very pleased with our purchase and look forward to years of fun with him. "He LOVES the dryer after I take the clothes out. :-) And he LOVES to be outside. :-) I LOVE HIM TO DEATH! :-)"
"Hi, this is Ben. 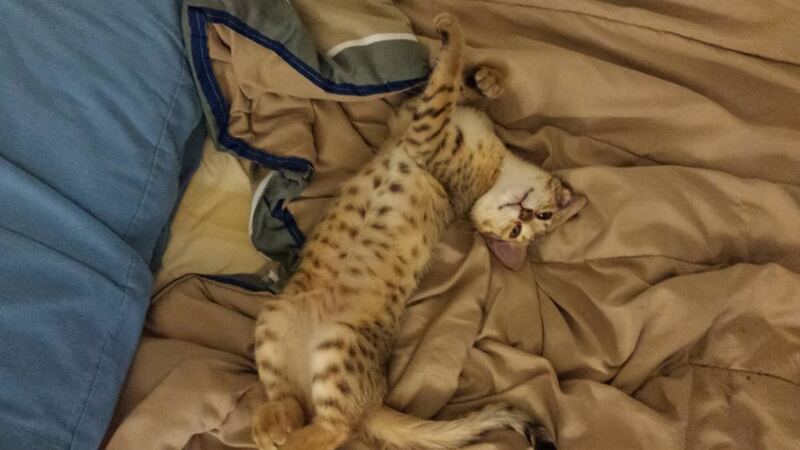 I purchased one of your savannah cats a little while back and just wanted to let you know she is doing great. She is as smart as my dogs. I am sending a couple photos and a video of how she learned to open doors. We are also in the process of toilet training her as wel. I still can't believe how smart of a cat she is. 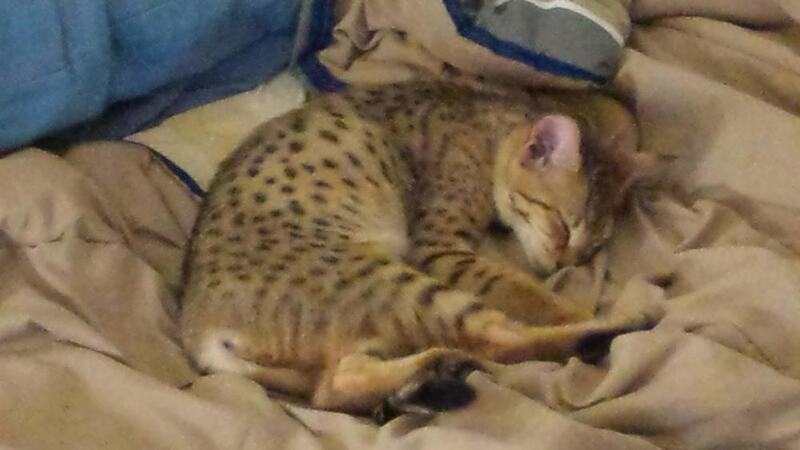 "We were very pleased and excited when we got our kitten from Savannah Exotics. He was very healthy, happy, playful, and eager to eat soon after arriving home from a trip across the U.S. He has a very energetic and loving personality and has already started bonding with the entire family, including my kids and other pets. In addition, Sandra was a joy to speak with and was always easy to reach by email, text, or phone. She was also very helpful and patient with any questions or concerns I had. 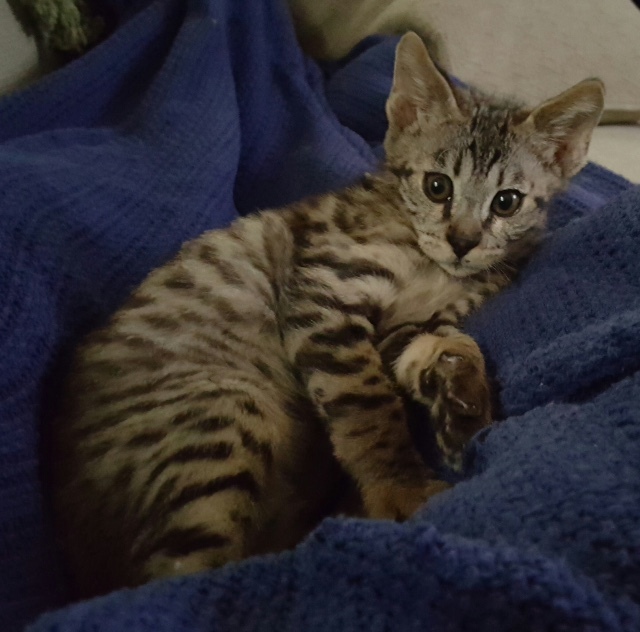 Thanks again for everything Sandra-if I ever decide to purchase another Savannah kitten in the future, I would consider you first." "We want to thank you for the opportunity to love this little girl. She has a wonderful personality and has been very socialized with her siblings as well as people. We couldn't be happier with the overall experience you've provided us. She's a very healthy, energetic young kitty." 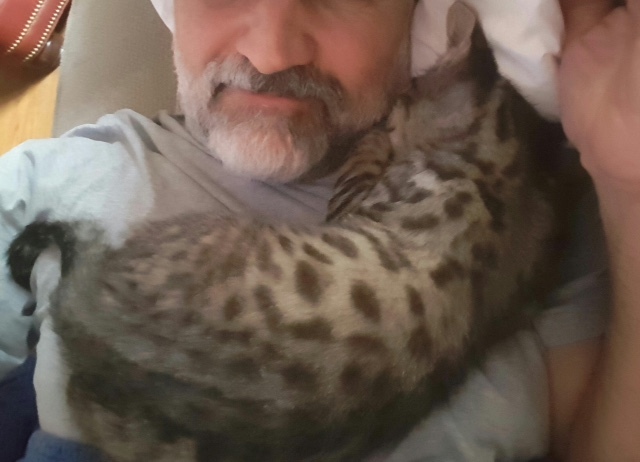 "I just wanted to thank you for such a beautiful kitten. She is settling in great at my home and she is by far the most adorable kitten I've ever seen. We had our first visit to the vet earlier this month and everything went great. She already learned how to play fetch." I AM GOING HOME TODAY!! I FOUND MY NEW HOME!! !